We have committed to adapting to biologically based procedural and conceptual changes as they occur. Several technologies have made a profound impact on the way modern endodontic treatment is performed. We have invested in and trained in the use of several of these technologies to achieve the highest clinical treatment standards. Computerized Digital Radiography Digital radiography has vastly increased the sophistication of diagnostic capabilities. Digital filmless x-ray imaging reduces the level of radiation exposure by up to 90% and reduces the waiting time for processing an image. Our office uses the smallest and most flexible sensor for your comfort. 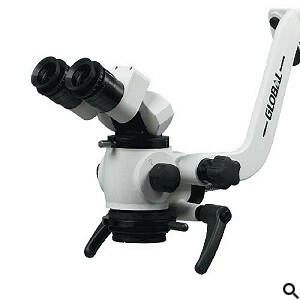 Operating Microscopes with the Best Optics The microscope provides commanding visual control with a precision that allows for new treatment possibilities which take advantage of the increased magnification and illumination. Advanced Techniques The latest and most predictable anesthesia, cleaning, shaping, and filling techniques are used to produce an optimal treatment outcome. The fee for your endodontic treatment will be based on the extent of treatment. During your first visit we will discuss the probably number of visits, their length, and the fees involved. While we do recognize the unique nature of our practice and the specialized kinds of cases we treat, it is our policy to work with you as much as possible in order to ensure your treatment works for you financially. We will ask for your cooperation in providing all necessary insurance information in order to better educate you on your financial responsibility. 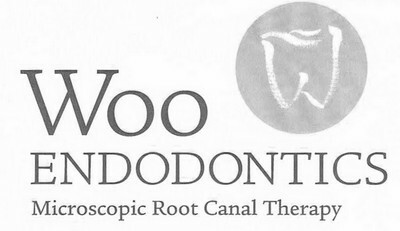 Woo Endodontics will work with most insurance carriers in order to lessen your initial out-of-pocket expense; however, we do require your estimated patient portion in full at the time your treatment is completed.